Queen Anne Lace plant, Daucus carota, is sometimes known as Wild Carrot. 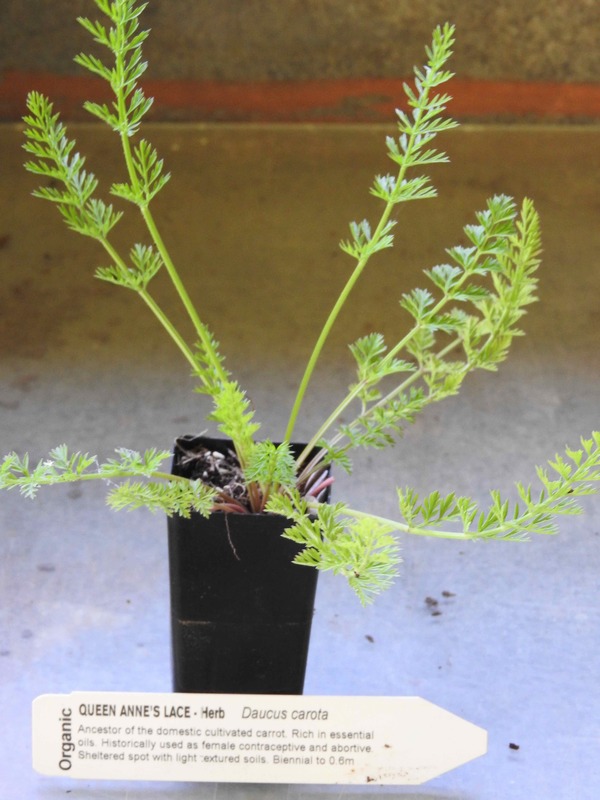 This plant is the feral version of the domestic, cultivated carrot. The ancient Romans used the seeds as a female contraceptive and to cause abortions. Leaves, roots and seeds traditionally used as a remedy for kidney stones, urinary tract infections and gout. Queen Anne Lace plant is native to Europe and Asia and prefers light, well-drained, sandy loam in a protected, sunny position. Frost resistant but drought tender. An annual or biennial plant, growing to 0.6m x 0.5m. White lacy flower in summer and autumn. Be the first to review “Queen Annes Lace, plant” Click here to cancel reply.